Did you know that 80 percent of all web traffic begins with a search engine? Stunning, isn’t it? It’s why investing in SEO is an absolute must for any website owner. Proper search engine optimization means improving your search ranking, which in turn means more traffic, conversions and revenue. That’s also the reason why we already have a bunch of articles on SEO on this blog including this one, this one and this one. 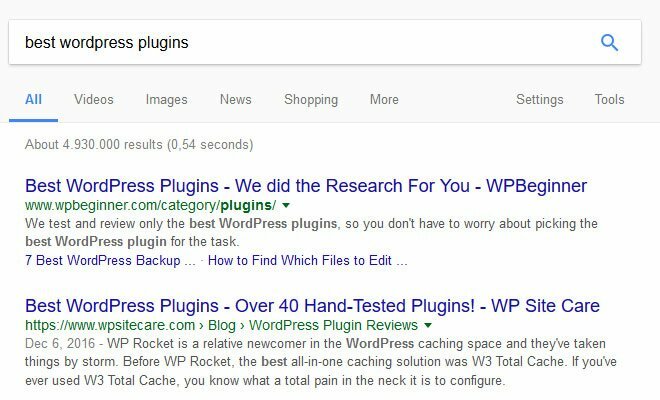 Doing basic SEO in WordPress is not very hard. 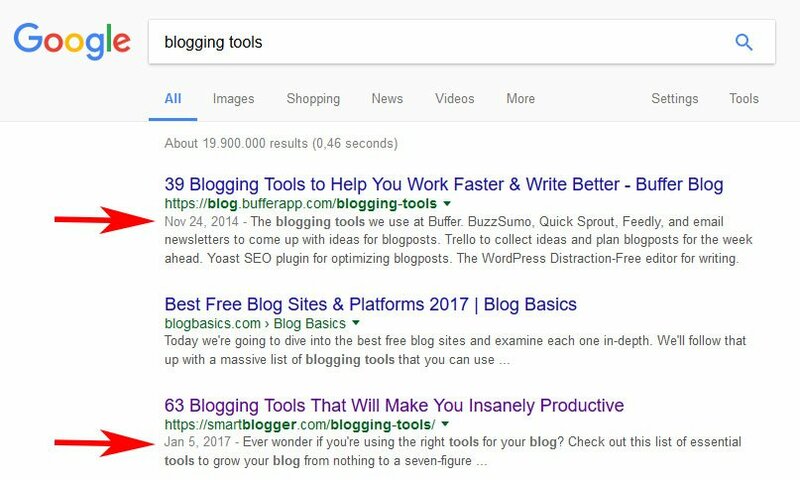 Install one of the many excellent SEO plugins, fill out the search snippet metabox for every piece of content and you are most of the way there. However, to take your site to the next level might require some more advanced SEO tactics than that. Luckily, that’s exactly what we want to talk about in this article. Below you will find a number of next-level techniques for search engine optimization that can help (significantly) increase your site traffic. Ready to add some new pages to your SEO playbook? Then pay attention to the techniques below. Although many people think of SEO as something primarily technical, in the end it is mostly about figuring out what your users want and need and then delivering it. The better you can meet your audience’s needs with your content, the higher the chances they will click your headlines, read your articles, jump on your email list and/or buy your product. Of course, in order to do so, it’s best to know what it is they are looking for. The easiest way to find that out would be if they told you directly, right? Not by emailing their problems directly to you (though some do that, too — you’d be surprised), but there are plenty of online spaces where people are quite vocal about what kind of help they need. One good example is Quora. 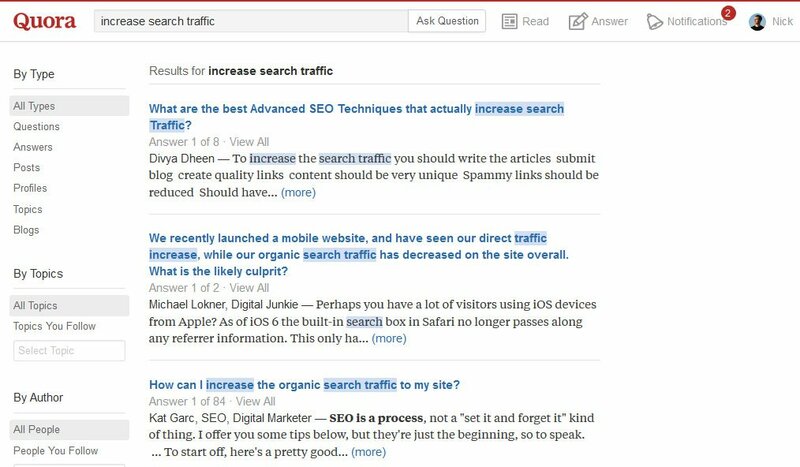 If you are not familiar with the platform, Quora is a bit like Yahoo Answers but in helpful. People ask questions on all sorts of topics and receive answers from really smart people (and occasionally celebrities). To find out more about your audience, all you need to do is go to the website and type your primary keyword into the search bar. This will give you heaps of questions people are asking on this topic plus answers others have already provided. You can copy and paste some of the questions as they are and use them as blog post titles directly. Yet, ven if that is not the case, you are sure to find loads of inspiration for blog post topics. A similarly good place for user research is Reddit which has communities for just about any topic. If you find relevant subreddits and listen to the discussion, you will garner loads of insight into people in your niche. Finally, you can also mine the search queries others type into Google. Several tools out there collect information from the autosuggest feature in Google and can give you ideas for content as well as long-tail keywords. Check out Übersuggest, Keyword Tool and AnswerThePublic. You won’t be sorry. When someone clicks on one of your links in the search results, where do they land? Chances are on your homepage, a blog post or similar part of your website. However, especially when your goal is lead generation and/or sales, it’s often better to use a landing page instead. What is a landing page? How is it different? A landing page is a dedicated page for one topic that has a particular goal. There are a number of websites out there who use them very successfully. In fact, in their definitive guide on WordPress SEO, Team Yoast recommend to turn your most important posts into pages (the guide itself is also a page, btw). 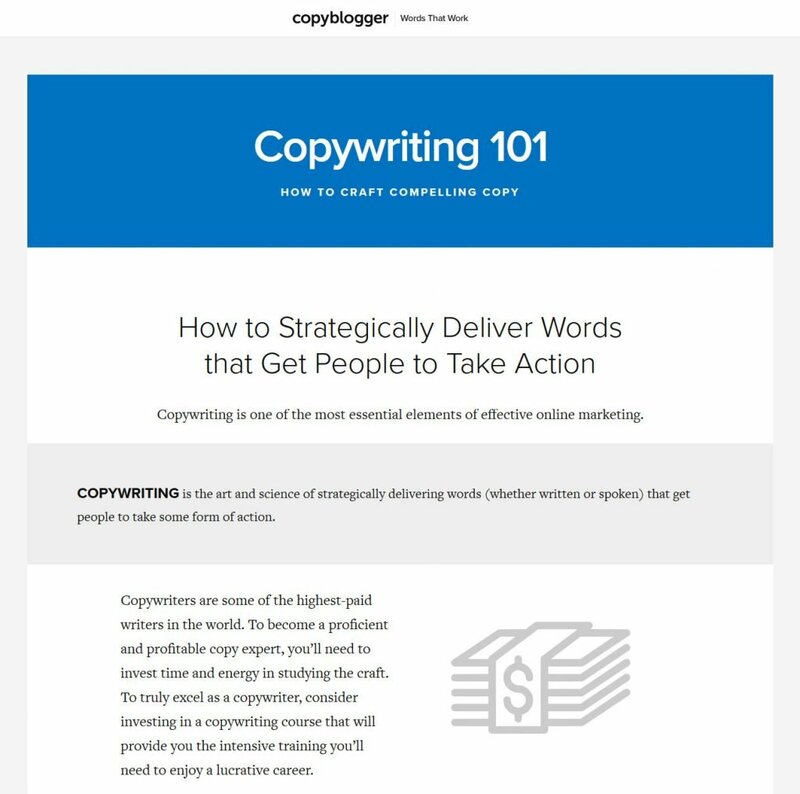 Copyblogger Media also create landing pages on a number of popular topics that gather them loads of links and attention. After that, you still need to invest in link building in order to rank high. However, once you have reached a certain level, it will be hard to push you off the throne. We all know that content is king and many of us keep creating new content on a regular basis for that very reason. However, even if it works, it can get pretty exhaustive. A smarter approach is to use the same content and repackage it in different forms. After all you, have already done the research, why not use the information in the most efficient way? Don’t think it’s possible? Well, Jay Baer from Convince & Convert regularly manages to turn one piece of content into eight. If he can do it, why not you? Plus, there are other advantages: you can use the repurposed content to get attention on and links from highly authoritative websites like Slideshare, YouTube, Docstoc and Quora. For maximum effect, make sure the new pieces of content are as high quality as the original. Since we are already talking about using existing content instead of creating additional one, updating your existing posts and pages is also one of the more advanced SEO tactics. Google loves up-to-date content. It’s one of their ranking criteria and the reason why they started showing publishing dates in their search results (I personally don’t click on any article older than 2014, you?). However, up to date doesn’t have to mean new, it can also mean updated. For example, you might spruce up an older post with a new introduction, additional data, new images (or infographics) or anything else that makes it more valuable. While you are at it, slap “(updated + year)” at the end of the title to let visitors know this article is fresh (and also start ranking for search requests that include the year). When you do, don’t forget to change the publishing date within WordPress. Does this really work? Yes. 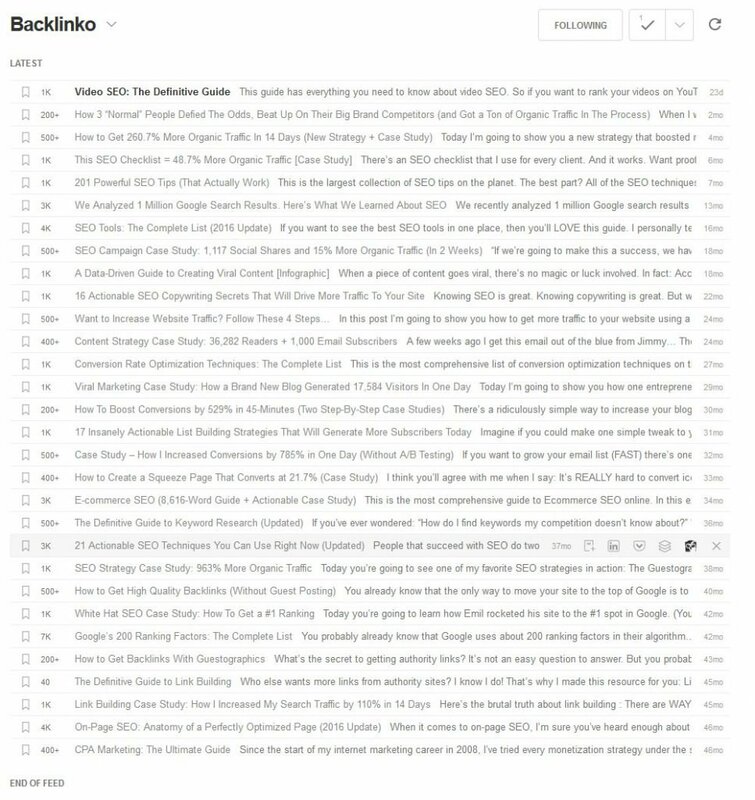 Someone who uses this SEO technique with great effect is Brian Dean of Backlinko. His blog brings in hundreds of thousands of visitors every month and has many articles on the first page or even first place of Google. However, when you check his article on on-page SEO that published in 2012/2013, you notice that the article title says “2016 Update” and that it was last modified in October last year. A variant of this technique is not to update entire articles but instead add new long-tail keywords to them. For that, all you need to do is check your Google Search Console under Search Traffic > Search Analytics. Here, you find search phrases that your site is already ranking for. Now sort them by position and scroll down until you see everything ranking below position ten (meaning not on the first page of Google anymore). Click on the little arrow symbol to see which page ranks for this keyword. After that, edit that page and add the long-tail keyword to the content. Two or three times is sufficient. Do this on a regular basis (every few months) and you are bound to increase your traffic significantly. 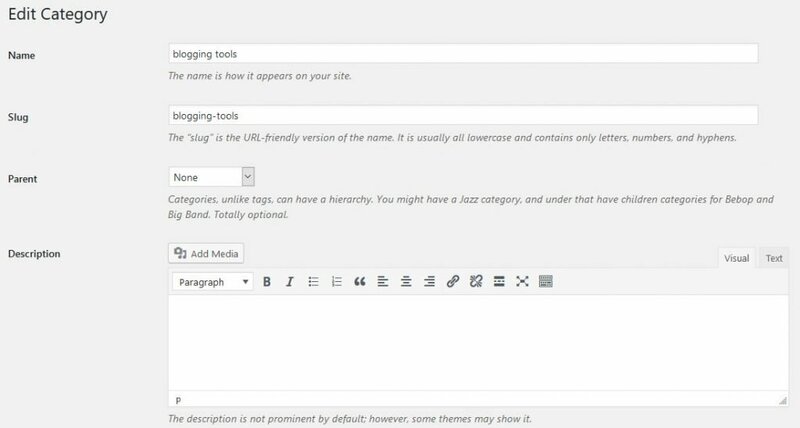 WordPress automatically creates all sorts of archive pages for categories, tags and other things. If done right, you can turn them into highly authoritative pages. How? Well, the first step is to add unique content to them. Without, they run the danger of looking very similar to your main loop, which Google might interpret as duplicate content. Doing so is simple. Just go to Posts > Categories and click on one of the entries. When you do, you get the option to edit the name, slug and, most importantly, description of your category. 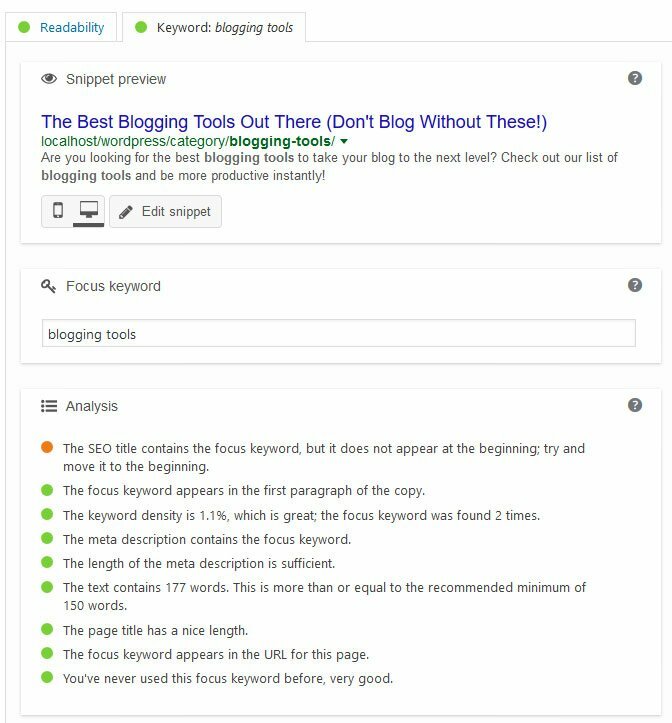 What’s more, if you have Yoast SEO installed, you can even use their content analysis tool to further optimize the page with an SEO title, meta description and more. A website that does this with great success is WPBeginner. 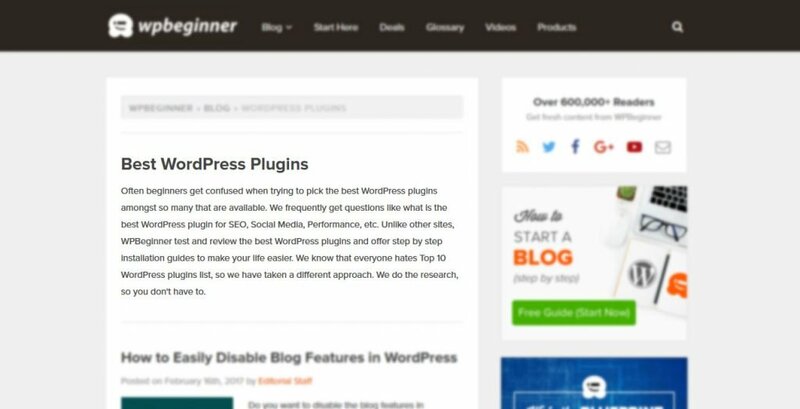 Their plugins archive ranks number one for the keyword “best WordPress plugins” (even before the official WordPress plugin directory) because they used the technique described above. No that’s not a new designer drug. LSI stands for Latent Semantic Indexing and is something Google considers when ranking websites. In simple terms LSI means that Google pays attention to the words surrounding your keyword to figure out your the intent behind your posts and pages. When using the word apple in your content, Google doesn’t know whether you are referring to a fruit or the well-known electronics company from California. It can only determine that from the surrounding content. Therefore, if you also mention iPads, Steve Jobs, Cupertino and long lines in front of Apple Stores, the meaning will be quite clear. LSI also considers synonyms. That means you can use different words with the same meaning to clarify your point without repeating the exact keyphrase over and over again (or what is also known as “good writing”). It’s also a way to avoid keyword stuffing. For example, in this article instead of always talking about “SEO tactics”, I will also mention “SEO techniques”, “SEO methods” and other variations. This will make the post more reader friendly (which is the intent behind LSI in the first place) and allow me to include more keyphrases. If you are not too adept at this, you can always use a thesaurus. Also, with some brain storming, I’m sure you can figure out words related to your main keyword that users would be looking for. At the same time, be sure not to overuse LSI, since that is just as bad as keyword stuffing. Always concentrate on making the content flow naturally. The goal is to improve the quality of your content for the user, not diminish it in order to appeal to search engines. Are You Ready to Put These Advanced SEO Techniques Into Action? Advanced SEO tactics allow you to increase traffic, improve search rankings and make your content more appealing to both readers and search engines. From extensive user research, creating and optimizing landing pages over repurposing and updating content to leveraging archive pages and using LSI, there is a lot you can do beyond merely filling in the search snippet. However, it’s important to keep in mind that the goal is always the end user and creating unique and high-quality content for them. The techniques described here are not a way of gaming the search engines but just approaches to help you improve your web content. Now we want to hear from you. What advanced SEO tactics do you use on your website? Let us know in the comment section below! Great article,Nick. I have a new website and get trouble with both of SEO and traffic. Your post is very useful for me. Thanks! Hey Mark, happy you liked it. Let me know if there’s anything I can help your with. Are we writing for the robot or for the human reader? We need to stop allowing Google to dictate our content. @Reidtech: If we’re writing for the joy of writing, the answer is the latter. However, if we’re writing for results and the most ‘eyes-on’, then to write as this article suggests is the truer path to follow. like it or not: but if you do not get found in Google these days you simply skip massive amounts of traffic. I personally also do not like that fact but it is exactly that: a fact. We’re writing for both. Search Engine ***Optimization***. It’s not black and white. You could write the world’s best article on a topic but if you don’t include SEO keywords or structure, your content will be buried in google, you will see less traffic, your business will make less money and its likely your article won’t even be read by those who might enjoy it the most – because they can’t find it – is that serving anyone’s purposes, other than those who just want to write content? perfect response. You can create the most amazing advertising campaign, if you don’t have the money to put it on a billboard, you will not benefit from it other than the experience of creating it! Google is the intermediary between my post and my target audience. Not taking into account Google has consequences, because we really publish our ads-snippets into their servers. Then each one is free. By the way, congratulations to Nick, great post. I can only agree with everyone else. Creating content is a balancing act between wowing readers and pleasing search engines. However, Google has gotten much better at determining what makes content great for readers so it both goes hand in hand. Reviews, reviews, reviews – all Google is really interested in, so they can monetize traffic. Thank Rushty, let me know if you need any help. Thanks for the code Andrew, very helpful! Haha, I see you are quick to pick up on things. Thanks for the kudos Michael! Nice article Nick, but repurpose the content & update content they are both the same. Phil, couldn’t have explained the difference better myself. Thanks for that! Thanks Nick, much appreciated, good info. These are some awesome tips. Thanks, Nick. Happy you liked them! Thanks a lot for the comment. Hey there, happy you liked the article. Will keep redirection as a topic in mind. Cheers! The info is very good considering points 2 to 6. But (and this is a big one): You have to consider what your main goal is. Let me explain: One of the most valuable factors when it comes to SEO still are backlinks. But we’re not talking about these machine generated crappy backlinks that tools like GSA SER, SENuke etc. spit out. We’re talking strong contextual / editorial backlinks from authority sites in your niche. When it comes to content creation, you may re-consider Nick’s first point. If you have a new site, that is not yet as established (aka ranks as you desire) you may follow a slightly different approach: First and foremost you should generate content for influencers so they link to you. Therefore you need to research what they “like to link to” (aka content frameworks) and produce high quality long content for this “demand”. Long content means not a shabby 500 word article and never sourced on Fiverr or similar. The quality simply is way too shabby to use it (and gain links). We’re talking 3,000 / 4,000 and even 10,000 word articles when it comes to competitive niches. I would always choose the latter. Later on, when you have gained enough authority yourself and have built a following (aka “a list”) you can and will create content that is more focussed on your clients. A nice side effect in a lot of niches is the fact that the content you create for influencers is usually also at least somewhat interesting to your dream clients as well. Hey Phil, thanks for being such an active participant in the discussion! Your point echoes a lot of what Brian Dean says as well and is a great tip for anyone trying to get their foot in the door. So for web design services, who would be an example of an influencer in this niche? Great question Paul. I work with clients in a few limited verticals, and the SEO competition is VERY stiff. Consider the “influencer” category as a whole, much of those one might list would be direct competitors (selling the same product and services). So, focusing on them is not a great idea. With some clients the best I can do to get increased backlinks is through business listings and service ratings platforms (including Yelp, YP, etc., but also industry specific ones). Thanks for the comment, Shane! I am currently “refreshing” an older site with the Extra theme, which is great and now also using Yoast with it. I had wondered if updating content would work in this manner. I’ll keep going with it and see what happens. Always excellent posts on this blog – thanks to the Elegant team too. You are most welcome Susan. Please come back to let us know how it went! Excellent post! I will use your tips right away. Thanks a lot! Happy I could help, Jean. Please keep us posted on how things work out. Excellent post! I will use your tips right away. Thanks a lot. Thanks for writing this. I particularly like the idea of Quora. I’ve used it for my own personal use (since it comes up so often in search results.) But I hadn’t ever thought to use it as a source for what questions people have about our business. Looking forward to trying this. The other tips are great too! Hey Derek, thanks for the comment. Quora and Reddit are gold mines for content and keyword ideas. I highly recommend them. Great article! Older posts are definitely a gold mine when it comes to content, but often hard to find. By updating older posts, one can also improve their user flow. Thanks for the comment Ravi! This is a really great article, full of interesting tips and ideas that you have presented in such a way that does actually resonate with me. Don’t get me wrong, I know full well just how important SEO is to generate visitor traffic and start to get some proper momentum on a website. However, the traditional way SEO is presented tends to leave me with an impression of something that is a painful repetitive chore, both tedious and laborious with absolutely no guarantees that the amount of time and effort required will ever really be enough. I guess it’s the dry statistical analysis of the ranking numbers associated with specific target keywords that start to make my eyes glaze over and I suspect a lot of other people feel the same way about it. You have approached the subject with the focus on good content; creativity; establishing trust and interacting with readers/customers. This is exactly right, as the Internet and computer/device we use is just an enabler that allows interaction, friendship and business to be conducted with people across the entire globe in any and all time-zones. Unfortunately, somewhere down the line, the underlying technology itself somehow became more important and people switched their attention to the technicalities of fine tuning their SEO instead of spending the time on establishing themselves as the trusted, real-life person behind the website. Your article has inspired me to look again at SEO from an angle that makes the investment of time and effort so much more worthwhile. Hey Mike, I completely agree with you. A lot of people think of SEO as mostly a technical thing and that turns them off. However, you can cover about 90% of the technical aspects just by using WordPress, a quality theme and Yoast SEO. After that, SEO is all about understanding your audience and delivering to them the content they are looking for. The technical aspect is just what helps you deliver it to them. Let us know how your new approach works out! Hey Wayne, I am guessing you are talking about videos on your own website? If so, I would definitely supplement them with written content that clarifies what the video is about. For example, WP Beginner regularly publishes blog post in which they include the same content in video form so you can choose your medium. Apart from that, read Backlinko’s guide on video SEO to make the most of YouTube and the Google SERPs. Hope this helps! Thank you for this post. I’ve been waiting for a helpful bit of information like this. Also thanks for the Quora idea. You are most welcome! Happy I could help. I’m very happy you liked it. Thanks for the awesome comment! Thanks for the comment! Let us know how it works out. Thanks for the comment! We are looking forward to hearing from you again. That was a damn hell article in terms of seo approach and it’s execution. Great advise Nick ! This post is really helpful to increase website traffic and search engine ranking. Please post more posts like this. 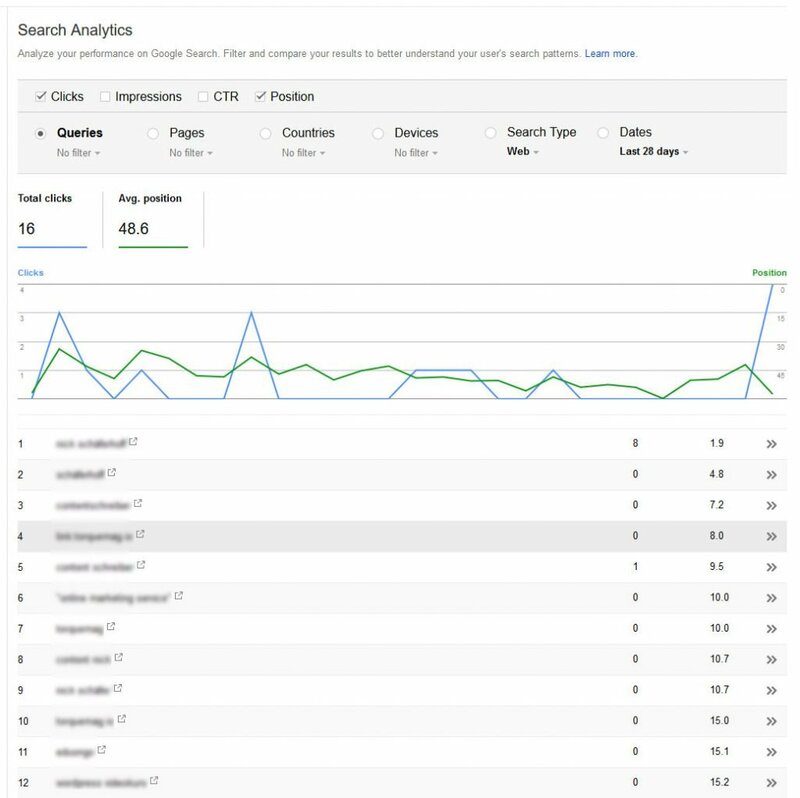 1It’s possible if you install Yoast SEO plugin.